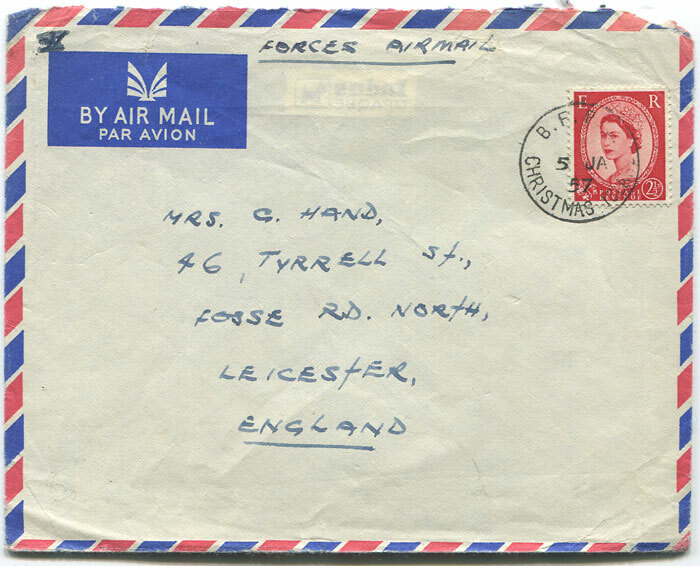 1957 Forces Airmail cover from Christmas Island to England with GB 2½d tied by B.F.P.O. CHRISTMAS ISLAND cds. Flap removed.